Is The Real Housewives of New Jersey star Teresa Giudice gearing up for a show that could give Orange Is the New Black a run for its money? Apparently so. According to Hollyscoop, we’re going to be seeing a lot more of Teresa while she’s in prison — she’s currently in the Danbury Federal Correctional Institute to serve her 15-month sentence for tax fraud. This claim might not be too far off the mark either, because Giudice previously posed for a bizarre prison picture with her family, which shows her sporting a new look: curly hair and much less makeup. And if she’s willing to pose for the picture, then we’re not ruling out a reality TV show just yet. 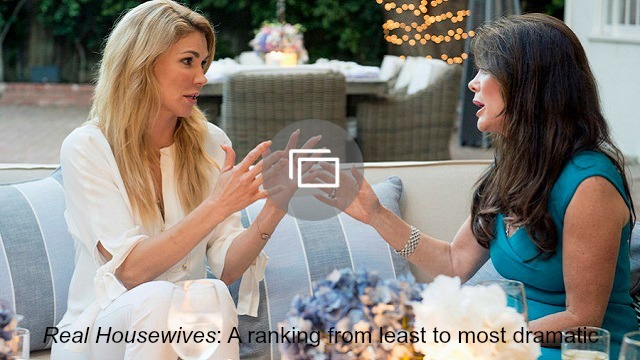 However, Teresa will apparently have the final say as to whether she wants to go ahead with the new show, because she may not want the world to see her much less glamorous prison life. We’ll keep you updated, but for now, watch the video below. Tell us what you think: Would you be interested in watching a prison show about Teresa Giudice?